Meticulously maintained home in Mint Hill. 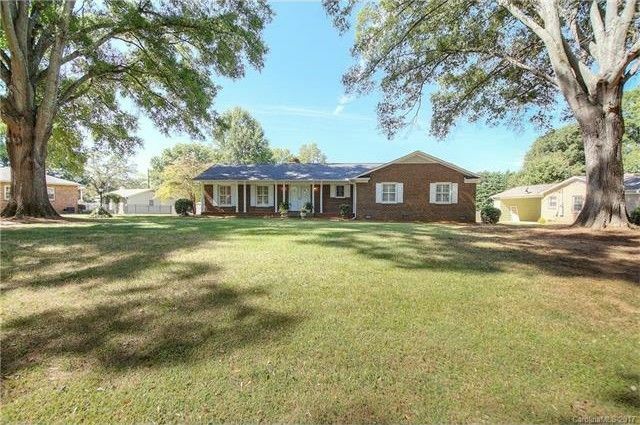 This all brick ranch home located close to town and only minutes to I-485, shopping and restaurants has lots to offer. New roof, brand new HVAC system, updated kitchen and so much more. Large level lot with lots of room to garden or play with the kids. Beautiful brick patio in rear of home offers a private space to relax and enjoy the yard. Home also comes with a home warranty.. Don't miss this opportunity. Directions: From the center of Mint Hill travel on Lawyers road towards I-485 to Left turn on Fox Hollow... this will be the 2nd home on left. I-485 to Lawyers road exit and turn towards Mint Hill, turn right onto Fox Hollow and home will be 2nd on left.